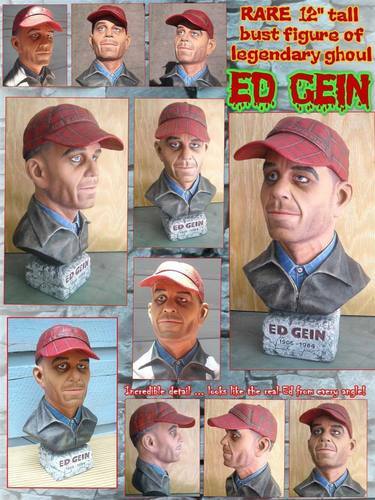 Ed Gein bust. . HD Wallpaper and background images in the Serial Killers club tagged: ed gein serial killer. Anyone know what this is worth? I have an unpainted one that someone gave to me back in the early 90's and there is so little info on it out there.